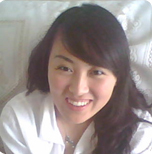 I am Dai Le, and I have taught Chinese at various levels, from beginner to advanced Chinese language learners. I sincerely enjoy teaching Chinese and interacting with students. All of my students feel I am very skillful in developing a warm and supportive atmosphere while still challenging students. I have come to strongly embrace the online language medium and sees it as a great way to introduce people from all over the world the beauties of the Chinese language.